This passage meditation uses Dr. Neil Douglas Klotz’s translation of the Lord’s Prayer as text for contemplation. One example of the translation: “Give us this day our daily bread” becomes “Grant what we need each day in bread and insight – subsistence for the call of growing life. 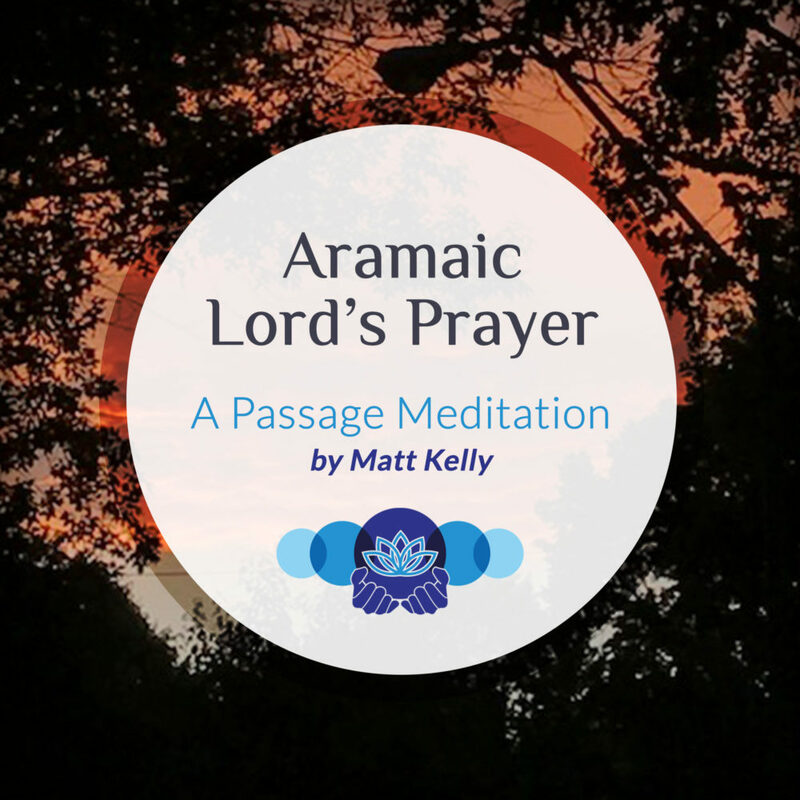 This essay expands on a related episode of passage meditation which uses The Aramaic Lord’s Prayer as the text for contemplation in this recording. I’m guessing you’re familiar with the telephone game. That’s the one where one person whispers something to another who then whispers to the next, and so on. It doesn’t take very many iterations for the original message to get distorted. With very many players involved the end result is way different than the original message. It can be hilarious. It seems to me that we’ve played a giant and very long version of the telephone game with religious scriptures. Let’s take the Lord’s Prayer as one example. Here’s how it likely happened. Jesus taught his followers in person. Most of them didn’t know how to read or write, so they passed his teachings on verbally. Five full generations of that went by before his teachings were written in Aramaic. Subsequent copies were transcribed by hand. When those scrolls travelled to new lands, multilingual scholars translated as best they could and hand wrote new texts. From Aramaic, to Latin, Spanish, Italian, Olde English, etc.. Compare that to this translation by the religious scholar Neil Douglas Klotz who used ancient Aramaic source material for a direct translation to English. Make it useful: as the rays of a beacon show the way. through our fiery hearts and willing hands. Your one desire then acts with ours. but free us from unripeness. Truly power to these statements. My hope is that this meditation will help you cultivate inner peace and bring you closer to your connection with the Father-Mother of the Cosmos.